You are here: Home / Blog / Blog / Success Newsletters / Women Are Always To Blame! 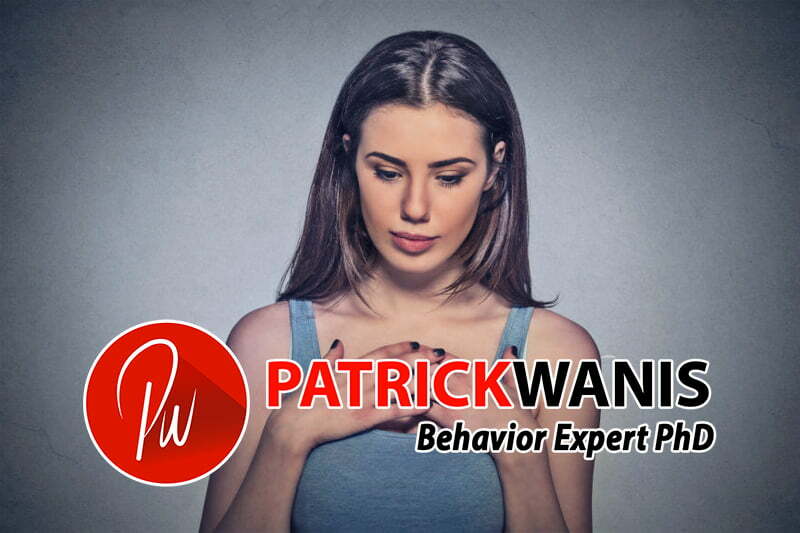 Sep 12, 2018 /in Success Newsletters /by Patrick Wanis Ph.D. In this week’s Success Newsletter, I would like to reveal the way many people have lost all sense of personal responsibility, blaming their own choices on others – often women! Now, let’s talk about the way many people have lost all sense of personal responsibility, blaming their own choices on others – often women! A reporter from Vice interviewed me regarding the death of Mac Miller and the way that his fans have been mourning his death by blaming Ariana Grande for Mac Miller’s drug overdose. Fans have been attacking Ariana Grande, accusing her of breaking Mac Miller’s heart when she broke up with him a few months ago and then soon after dated another man. Even religion teaches that women are to blame – for everything. Theologians Tertullian “father of the Western Church” (160-220 AD) and St. Augustine labeled women as a danger to all mankind, stating that Eve was the cause of Adam’s sin of eating the forbidden fruit. “What is your view?”, the reporter asked me. And of course, the same applies to Mac Miller and Ariana Grande. Mac Miller has had a substance abuse problem for a long time. He had the problem before Ariana Grande came along; he had it while they were dating, and; he had it after she ended the relationship. She’s not responsible for his habits, behaviors or actions. Every one of us has experienced some form of heartbreak, failure, disappointment or loss. But the way we respond to that event is our own personal choice. No one forces us to respond in a certain way. The exception to that might be Battered Woman’s Syndrome – a mental disorder that develops in victims of domestic violence as a result of serious, long-term abuse. This is the woman who’s been battered in a relationship for years, suffering so much and perhaps loses control to the extent of lashing back at the abuser, sometimes even killing him. However, that is not the same as the Mac Miller and Ariana Grande situation. She did not cause his choices. She is not his mother and he was not a child. Fans are in pain and mourning the loss of a very talented musician and artist. And most of us usually seek to blame someone when something goes wrong or when someone dies. But Ariana Grande is not responsible for the choices that Mac Miller made. In every relationship, partners and team members should support each other and help each other to overcome pain, suffering, self-doubt, self-destructive behavior. However, that same person that supports his or her partner is not responsible for the success or the failure of their partner – regardless of their gender. It is also Twisted thinking on our part to expect Ariana Grande to be The Rescuer, The Caretaker, The Nurturer or The Healer. What an absurd response. Her self-blame and self-shaming removed all responsibility from Eliot Spitzer for his own poor choices and his own criminal actions. Is that the person you want to be? If you need personal help and guidance to get to the root cause of your issue or to overcome the past – book a one-on-one session with me.